In my 7-part email coaching you will learn what you have to pay attention to. 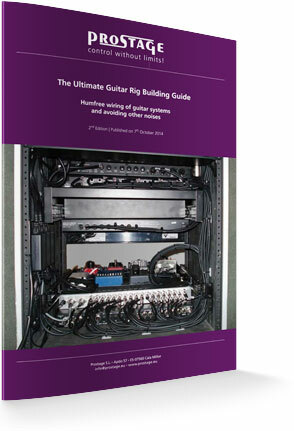 I'll explain easy to understand how to build your guitar rig correctly and how to get the best sound out of your rig! What you have to pay attention to when powering the effectpedals? Why a true bypass looper improves the sound quality? What you have to pay attention to on cables and how the rig is wired correctly? 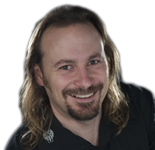 Hi, I'm Lukas Truninger - author of this email coaching and the e-book "The Ultimate Guitar Rig Building Guide". I've been touring across Europe with bands like Accept, Krokus, Udo Jürgens (Pepe Lienhard Orchestra) and many others. I worked as guitar tech / backliner and later on also as an audio engineer and a tourmanager. In 2002, I founded Prostage. Prostage develops and manufactures high-quality systems for controlling guitar systems: Looper / Switcher, MIDI Foot Controller and the special MIDI-controlled WahWah with a pure analog signal path. I am Swiss, but I’v been living and working in Spain for many years now. Here in the EU, the production costs are much cheaper than in Switzerland. But one thing remains: the Swiss quality standard! My goal is absolutely reliable guitar rigs from which you get the best possible sound out of your equipment. Today, Wolf Hoffmann of "Accept" and Jared Hardmann of "Flyleaf" are just two of many guitarists who successfully tour worldwide with Prostage products.